We all know that sickle cell anemia causes fatigue. In addition, you may or may not know that it also delays growth in infants and children, including delayed puberty in teenagers. It leads to infections that can damage your spleen, the very organ that fights infection. This disease also results in pain in the abdomen, bones, chest, and joints, and in swollen feet and hands. Some people with sickle cell anemia also experience vision problems. Sickle cell anemia, referred to in short as SCA, is the subject of chapter 19, one of five chapters within Section Five entitled Sickle Cell Disease. In that chapter, authors Martin H. Steinberg, Kwaku Ohene-Frempong, and Matthew M. Heeney, write that sickle-shaped or crescent-shaped or partial-moon-shaped red cells were first described when they were found in 1910 in the United States in the blood of an anemic student from Grenada. It appears that no research was done after that discovery. Perhaps it was. This second edition provides an updated overview of the ‘hemoglobin story’ as the editors term it. 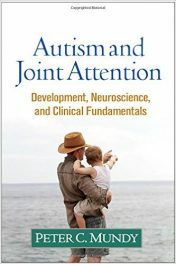 Significant advances in this story, since the first edition was published in 2009, have occurred in biochemistry, clinical investigation, and genetics. 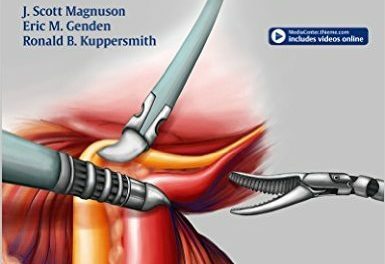 Those advances are detailed in this second edition published in 2016. 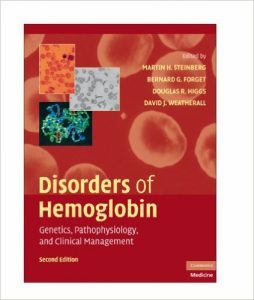 Fifty people including the four editors named above, authored the 33 chapters of this large book of over 800 pages, focused on the disorders of hemoglobin. They are mainly from the United States and the United Kingdom, but also from Canada, Kenya, Thailand, and the Netherlands. They are all MDs and PhDs treating and / or teaching others, as well as doing research. They work in the challenging but rewarding fields of biochemistry, biology, endocrinology, genetics, genomics, hematology, laboratory medicine, neurology, oncology, pediatrics, physiology, physics, radiology, and surgery. 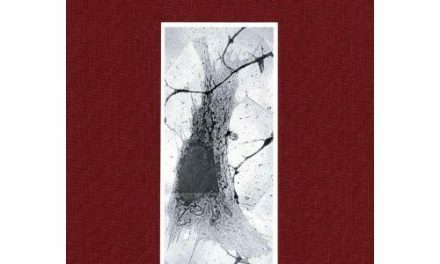 We take a closer look below at the contents of Section Five, entitled Sickle Cell Disease, and particularly, chapter 19 entitled Clinical and Pathophysiological Aspects of Sickle Cell Anemia, that we began to discuss earlier as we described the effects of sickle cell anemia upon people afflicted with it. The complications resulting from sickle cell disease can occur acutely, or they can be chronic, disabling, or cause premature death. In chapter 19, Clinical and Pathophysiological Aspects of Sickle Cell Anemia, following is the outline of topics, subtopics, and sub-subtopics. 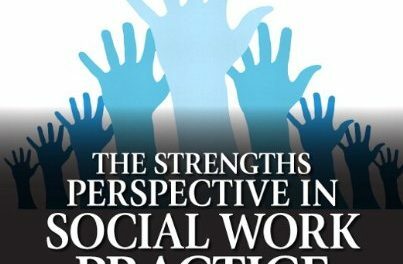 We have gone down to the lowest level only for the First 10 Years subtopic, but detailed discussions are available to you for all other subtopics. This book is an excellent and truly extraordinary achievement of the editors and the authors. 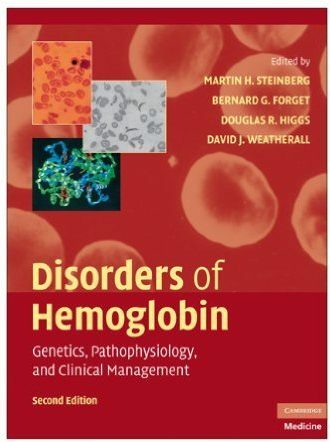 It is certainly a definitive reference work on the various disorders of hemoglobin. It is a must-have and a keepsake for any research scientist, professor seeking broader and deeper knowledge on the subject, or insight from the authors who are world-renowned experts. It is also a very valuable resource for any physician treating patients who have any disease relating to or resulting from hemoglobin disorders. Martin H. Steinberg, MD is Professor of Medicine, Pediatrics, Pathology, and Laboratory Medicine at Boston University School of Medicine in Boston, Massachusetts. Bernard G. Forget, MD is Professor of Medicine and Genetics and Director of the Hematology Training Program in the Section of Hematology in the Department of Medicine at Yale University School of Medicine in New Haven, Connecticut. Douglas R. Higgs, MD, FBS is Professor of Molecular Hematology and Director of the MRC Molecular Hematology Unit at the Weatherall Institute of Molecular Medicine at the University of Oxford in Oxford, United Kingdom. He is also affiliated with John Radcliffe Hospital in Headington, Oxford, UK. Sir David J. Weatherall, MD is Emeritus Professor of Medicine at the University of Oxford, and Director of the Weatherall Institute of Molecular Medicine at the University of Oxford in Oxford, UK. He is also affiliated with John Radcliffe Hospital in Headington, Oxford, UK. Franklin Bunn, MD is Professor of Medicine in the Division of Hematology at Brigham and Young Women’s Hospital and at Harvard Medical School in Boston, Massachusetts. He was the recipient of the 2009 Walter H. Coulter Award for Lifetime Achievement in Hematology. Neeraj Agarwal, MD; Emanuele Angelucci, MD; George F. Atweh, MD; Samir K. Ballas,MD; Gerd A. Blobel, MD, PhD; Carlo Brugnara, MD; Veronica J. Buckle, MD; H. Frank Bunn, MD; Elaine Dzierzak, PhD; James R. Eckman, MD; Mary Fabry, PhD; Bernard G. Forget, MD; Suchat Fucharoen, MD; Patrick G. Gallagher, MD; Richard Gibbons, MD; Mark T. Gladwin, MD; Ross C. Hardsen, PhD; Matthew M. Heeney, MD; Douglas R. Higgs, MD; Cheryl Hillery, MD; Clinton H. Joiner, MD, PhD; Gregory J. Kato, MD; Dhananjay K. Kaul, PhD; Daniel B. Kim-Shapiro, PhD; Janet L. Kwiatkowski, MD; Jane A. Leopold, MD; Qiliang Li, PhD; Joseph Loscalzo, MD; Roland L. Nagel, MD; Patrick A. Navas, PhD; Arthur W. Nienhuis, MD; Kwaku Ohene-Frempong, MD; Nancy F. Oliveri, MD; Derek A. Persons, MD; Sjaak Philipsen, PhD; John B. Porter, MA, MD,FRCP, FRCPath; Josef T. Prchai, MD; Kirkwood A. Pritchard Jr., PhD; Alicia Rivera, PhD; Yogen Saunthararajah, MD; Brain P. Sorrentino, MD; George Stamatoyannopoulos, MD, Dr.Sci; David Steensma, MD; Martin H. Steinberg, MD; Swee Lay Thein, MD; Mark Walters, MD; David J. Weatherall, MD; Mitchell J. Weiss, MD, PhD; Thomas N. Williams, PhD; and William G. Wood, PhD.